This icon indicates expanded content for member supporters. Join today to explore everything Starfall has to offer! 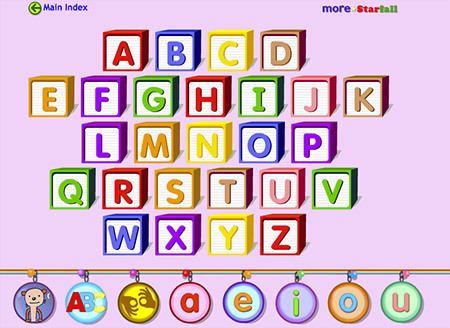 Starfall's ABC section teaches letter-sound relationships by providing a kid-friendly navigation system that explicitly focuses on each letter of the alphabet. 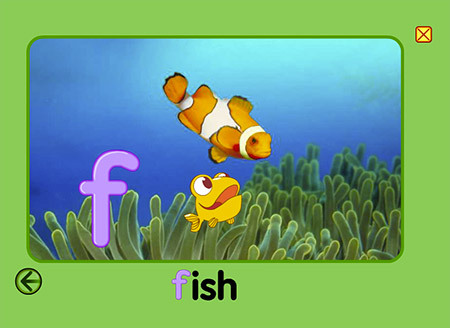 Children play and explore by clicking on any letter in any order to learn the relationship between speech sounds and letter forms. This is the "Alphabetic Principle," the foundation of phonics. Ant, Apple, Astronaut, and Alligator. What do these words share in common? They all begin with the letter A and the short-a sound! Learn about the letter then sort the lower-case and upper-case letter forms. Bouncing balls, bears, buzzing bees, and boys. What do they share in common? They all begin with the letter B! Learn about the letter then sort the lower-case and upper-case letter forms. Camera, cat, cow, and computer. What do these words share in common? They all begin with the letter C! Solve a puzzle to visit Starfall Summer Camp. 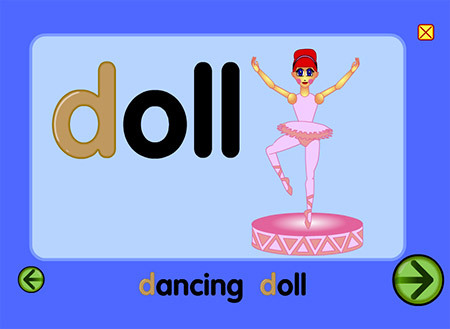 Ducks, dolls, drums, and dinosaurs all begin with the letter D! But did you know that some dinosaurs can also dance? Elevator, elephants, eggs. 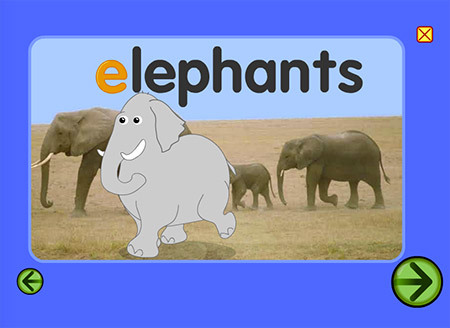 Enter letter E to see more words beginning with the short sound of e, and exit an expert! Learn about the letter then sort the lower-case and upper-case letter forms. Fox, fingers, and floating fish. All of these words begin with F. Learn about the upper and lower case letter forms then decide which letter does not belong. Green means go to the letter G! 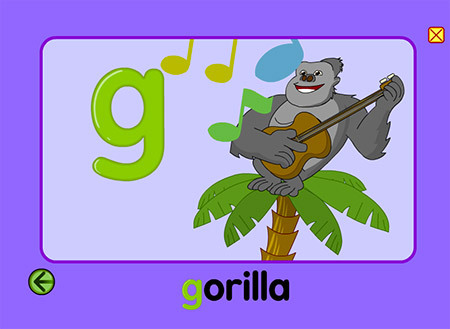 Enjoy the music of a guitar playing gorilla then insert coins into the gumball machine to learn the value of common coins. Horns, helicopter, horse, and hummingbird all begin with the letter H! 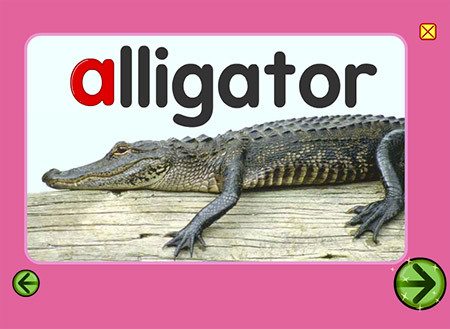 Make a match to uncover another animal whose name begins with H. Can you guess what it is? Igloo, iguana, and insects. What do these words share in common? 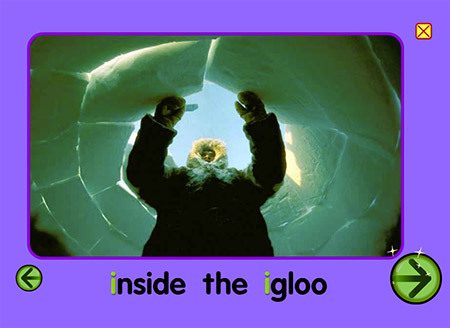 They all begin with the letter I and the short-i sound! 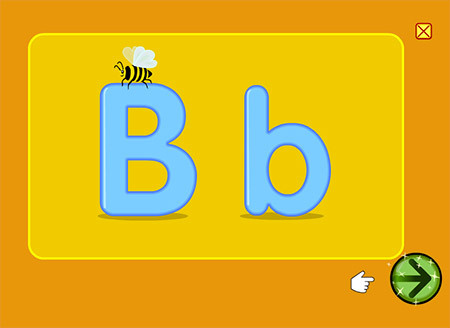 Learn about the letter then sort the lower-case and upper-case letter forms. Jet, jellybean, jump. What do these words share in common? They all begin with the letter J! 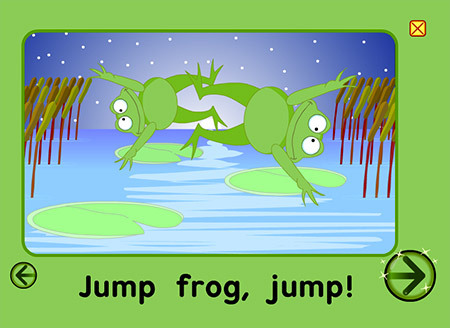 Solve a puzzle to visit a starlit pond full of jumping frogs. What's cooking in the kitchen? The letter K! 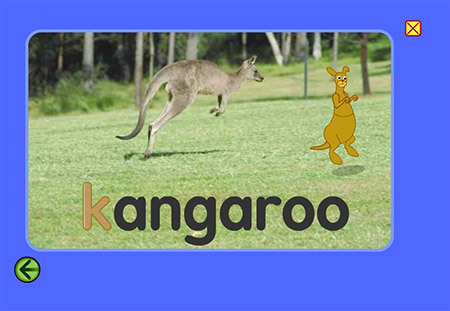 Complete an ABC maze with your choice of kitten, kangaroo, or koala then celebrate with the ABC song. Lightning, lips, and locks. 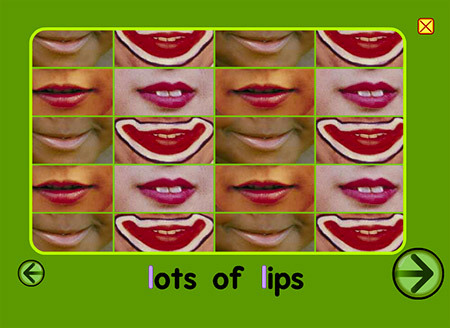 All of these words begin with L. Learn about the upper and lower case letter forms then decide which letter does not belong. 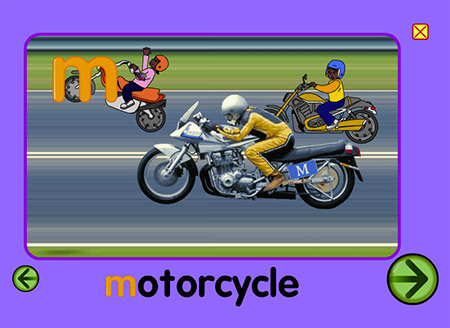 Moon, mountain, masks, and motorcycle all begin with the letter M! 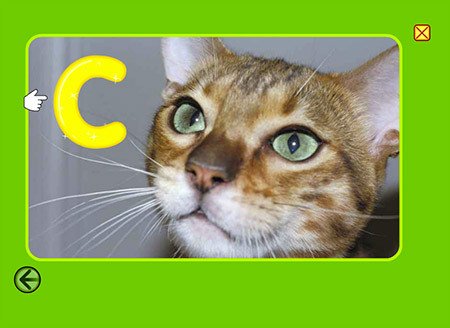 Make a match to discover an animal whose name begins with M. Can you guess what it is? 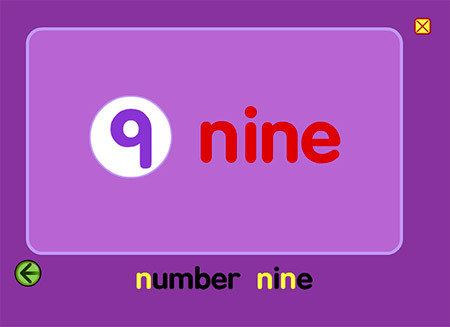 Night, net, and nest all begin with the letter N. Can you name a number that also begins with N? 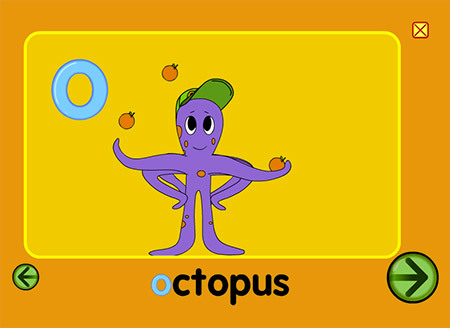 Octopus, ostrich, on and off. What do these words share in common? They all begin with the letter O. Sort the lower-case o from other letters. Pizza, pig, and puppies. All these words begin with the letter P.
I have a question. 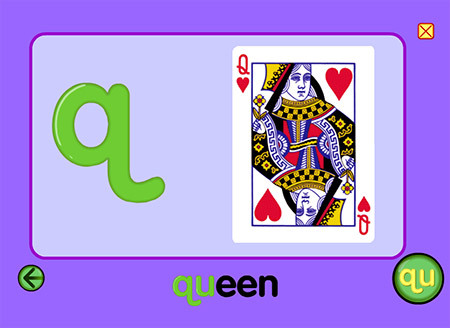 What do queen and quilt have in common? These words both begin with the letter Q. 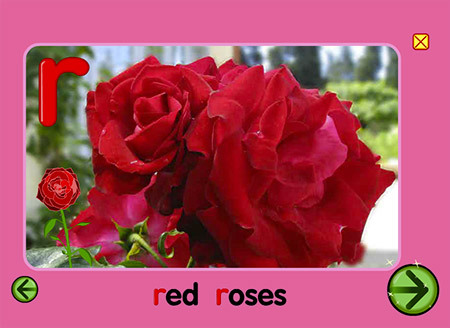 What word beginning with R is needed for roses to grow or a rainbow to appear? 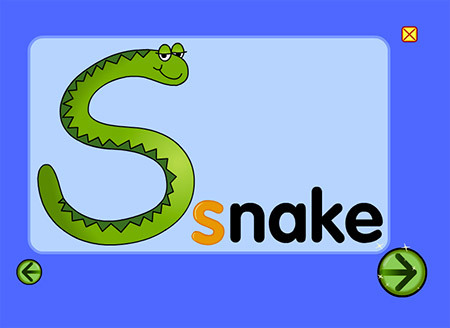 You will see, snake, skateboard, and sunglasses all begin with the letter S.